A deep pit left uncovered is a potential hazard. Oil spills cause slips leading to injuries if the pit is not covered. Using durable OPEN MESH GRP GRATING solves this problem in more ways than one. Still using heavy wooden planks? An enhancement to the safety of their vehicle inspection pits. 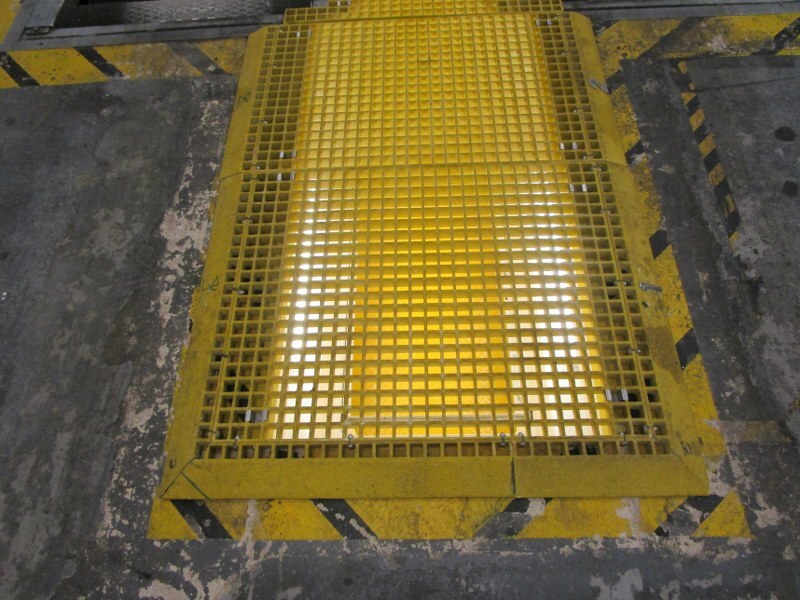 A total safety of the pit to include an Anti-slip GRP grating with side ramp to include an anti-slip top surface and a box section enough to clear the Jacking rail/beam to ensure it cannot move once in place within the pit when vehicles are not being worked on. Our GRP ISOPHTHALIC Anti-slip Open Mesh Grating is the IDEAL and Practical solutions because it is not only Lightweight but it is tremendously strong enough for pedestrian traffic. It was delivered in a 1000mm sections ready to simply lay down when the pit is not in use and easy to lift out as and when required, and virtually zero maintenance.